Phew....another week has passed....and what a week eh? Many thanks to all who joined in last week....I really do appreciate you taking time out of your busy lives to link up your smiles. I know it does me good to spend some time focusing on the happy times in the week so hope you all feel the benefits too. I guess it's the age I'm at now but I have lost many friends and family members lately [two more this week!] so time spent thinking about the good things is what gets me through the sad times. 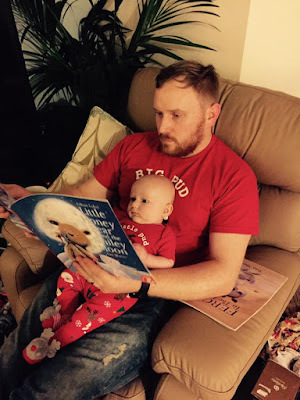 Big Pud with his little pud enjoying a book. Our newest family member, Theo in some of his Christmas outfits.....he's such a cutie. 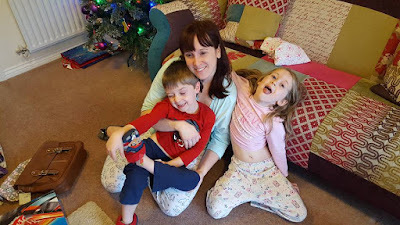 Our 'family together' celebrations on 27th....I just love it when we can be together [sorry you couldn't join us Shell but glad you enjoyed your pantomime]. That's some of my smiles from this week. Hope they have made you smile too and you will now link up your own smiles below. A very happy New Year to you all and here's to linking up many more smiles in 2017. Lovely photos! Christmas is always nicest with little children. 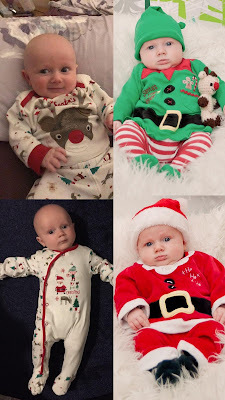 Little Theo looks so cute in his Xmas outfits. I spotted a very original cover on your settee. Nice one! And I do like the photo of Big Pud and little Pud with the book. Aww. Happy New Year to you, Annie. 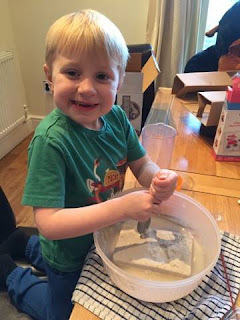 Christmas with you does look lots of fun! Sorry for your sad news though, it really does seem much worse at this time of year as you say. What a lovely set of photos of the children. You are blessed indeed to have them all around you at Christmas time. I love the one of the two 'puds'. Hi Annie, it's sad to lose anyone at anytime but somehow Christmas seems the saddest time of all. 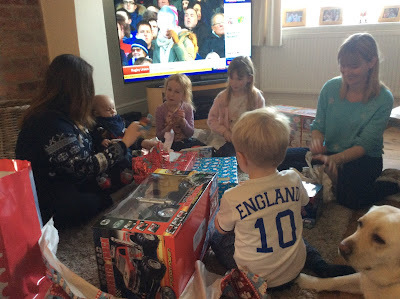 Thank goodness for the children - like Shell says, you can't ask for more! Love all your photos of the children enjoying the fun and Theo looks adorable in his Christmas outfits. I wish you a good New Year and a healthy and happy 2017.